The Department of Infrastructure Engineering houses the disciplines of civil engineering; geotechnical engineering; structural engineering; transport engineering; spatial information (geomatics); and environmental engineering, including hydrology and water resources. Our department annual reports from 2011 onwards. How alumni can get continue as part of our community and a list of our recent research student alumni. Our historical geomatics collection includes examples of types of instrument used for astronomical, angular and distance measurement, together with instruments for the computation, plotting and presentation of the survey data. Our researchers contribute to the creation of sustainable infrastructure, delivering valuable benefits to the community, economy and environment. Civil engineering focuses on infrastructure, energy, geomatics, water and environmental engineering. Sub disciplines include structures and materials, transport, project management, geotechnical and reservoir engineering, sustainable buildings and ocean engineering. Spatial information underpins the digital transformation of society. Geomatics studies the production, management, analysis and communication of spatial information. This includes disaster management, land administration, measurement science and 3D modelling, smart cities, smart buildings, and smart mobility, spatial data infrastructure, spatial data infrastructure. We focus on the broad topics of: hydrological processes; ecohydraulics; and environmental sensing and modelling. We collaborate with a wide variety of industry partners, including governments and commercial businesses. We explore fundamental research as well as creating solutions for specific problems. We recognise the value of a curriculum guided by industry. We invite industry members to contribute to the ongoing refinement of our curriculum. Host a Masters student within your organisation through our internship programs. Engage our students to work on a technical project of relevance to your organisation. These projects are undertaken by Masters students on campus. Our advisory group provides valuable insights on our strategic planning, teaching, and research programs, to ensure they are relevant to industry needs. We offer majors in all our disciplines via the Bachelor of Science and Bachelor of Design. We offer a range of masters degrees. Our graduate research programs — the MPhil and the PhD — are built on world-leading projects and are led by staff with international recognition for their multi-disciplinary research contributions. There is a vast array of research projects underway at Melbourne, working to solve big issues for industry, business, government and society. A unique opportunity to practise technical skills in a real-life work environment, supported by a dedicated workplace and an academic supervisor. Gain practical experience to enhance your employment prospects and networking opportunities. 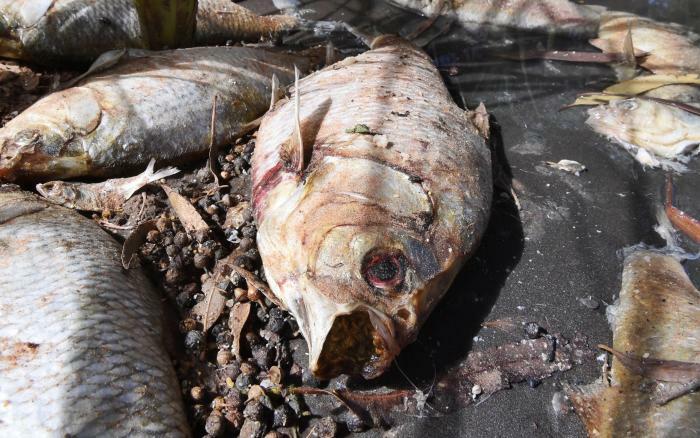 The death of up to a million fish on a stretch of the Darling River highlights the need for the full implementation of the Murray-Darling Basin Plan. We've picked ten of the most exciting, intriguing and important pieces of research setting the scene for another year of stimulating STEM research in 2019. 2018 has been a year of progress for the Australian Integrated Multimodal EcoSystem (AIMES), a world-first living laboratory incubated at the University of Melbourne. The Murray-Darling Basin Authority (MDBA) has announced the appointment of seven distinguished Australian scientists and engineers to the independent body that helps guide the Murray-Darling Basin Plan.